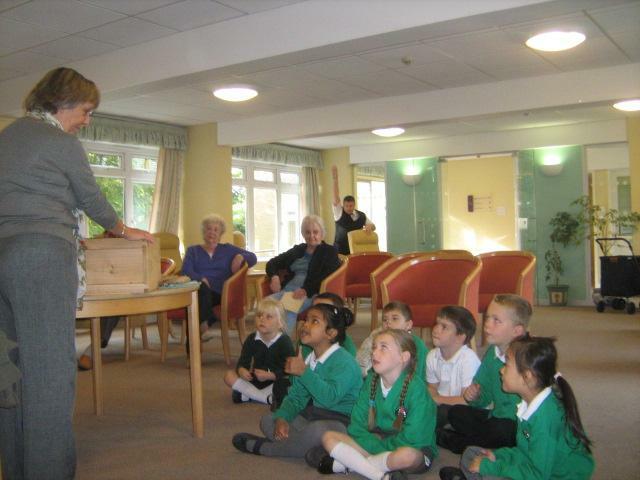 On Monday 7th October, 8 children were invited down to St Clements Court to meet the elderly residents and to learn all about bees! 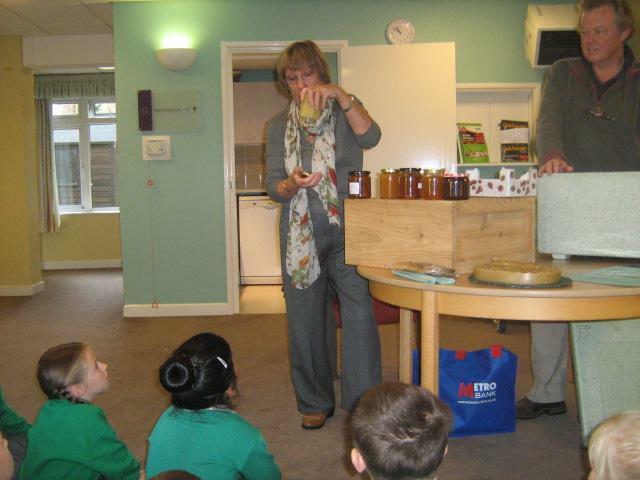 Margaret showed us the honey that the bees had made in her garden. Look at all the different colours; this is because of the different plants. 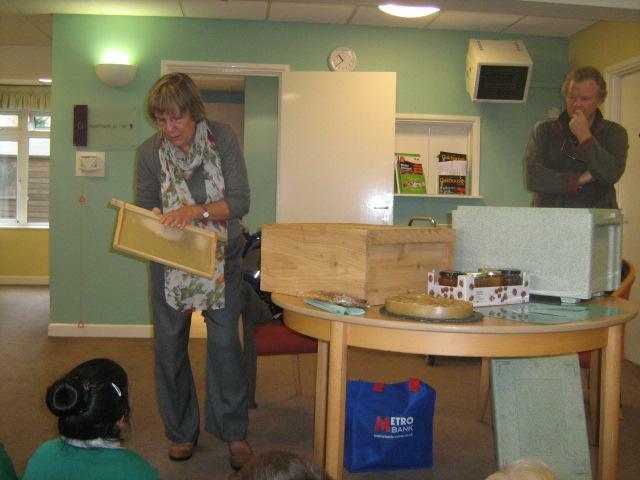 We also were shown a wax model of a Queen Bee! Don’t worry it’s not this size in real life! 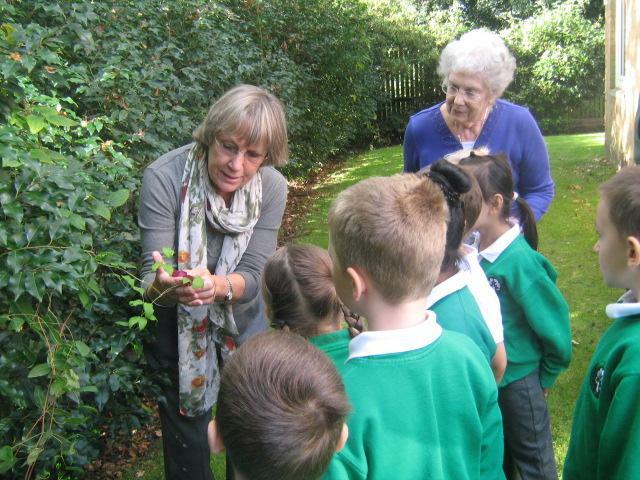 After our talk, we went outside to look at bee-friendly plants and to plant our own! 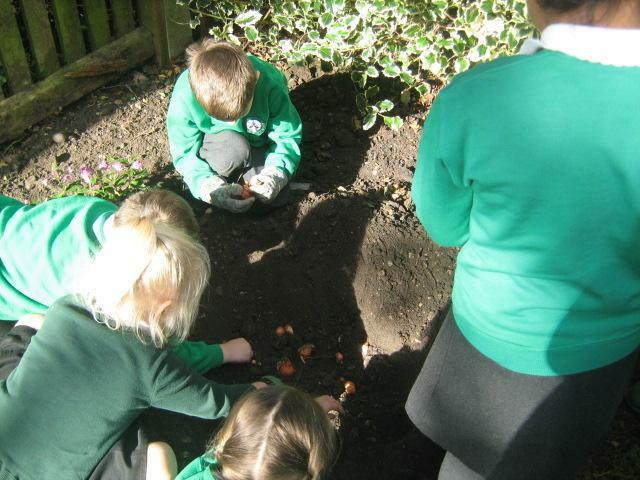 We planted tulips, snowdrops and daffodils. 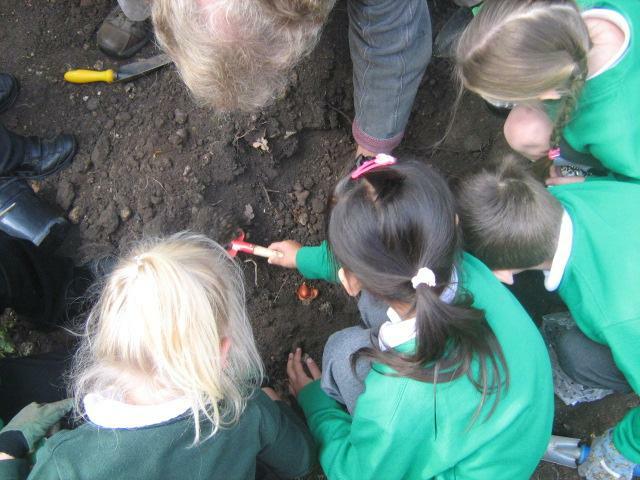 We had to remember to plant the bulbs the right way up with the roots going down into the ground. 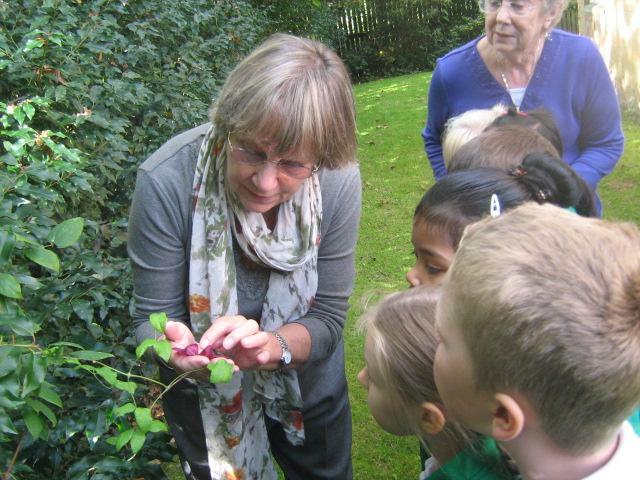 Then we covered them up with soil using our gardening tools, it was great fun! 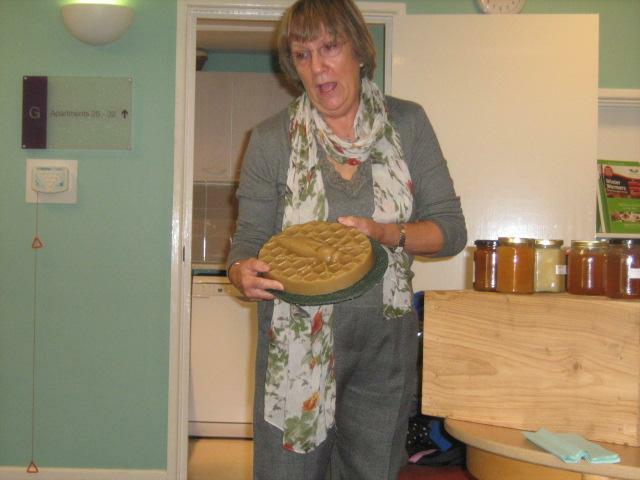 A photographer came down from Farnborough News to see what we were doing and to take our pictures. The residents and Rob the manager at St Clements Court were very grateful for all our help and have invited us back in the spring to see our flowers! We can’t wait to see what they will look like! A big thank you to Yusra, George, Lexi and Jack in Red Class! Also to Nina, Aafna, Leo and Lewis in Orange Class!